Wall Stickers There are 11 products. Toilet entrance sign, sticker. 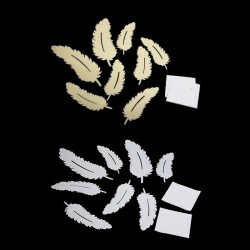 Material: PVC Please select a type. Mirror, wall sticker. Material: acrylic. Quantity: 6 pcs. 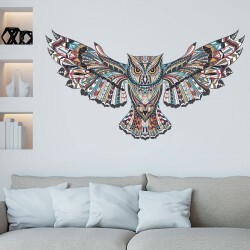 A set of wall sticker. High-precision laser cutting. Easy and fast to install. Smooth edges. Material: acrylic. Please select a type. Ladybug sticker hook. Material: plastic. Quantity: 2 Size: 8.6 * 5.4 / 7 * 1.9cm. Color & type: sent randomly. 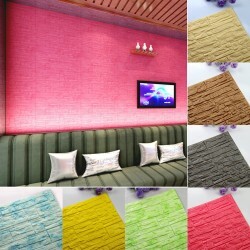 3D brick waterproof wallpaper. Dimensions: 60 * 30cm. Material: PE Please select a type. 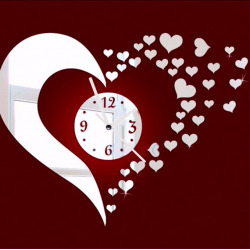 3D mirror clock wall sticker. 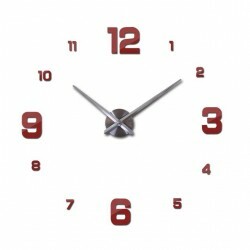 Material: acrylic Dial diameter: ~ 13.5cm. Thickness: ~ 1mm. Quantity: 1 set. 3D acrylic mirror wall clock. Non-toxic, lasts for 3-5 years. Sticker material: EVA foam. Clock material: metal. Please select a color and size. 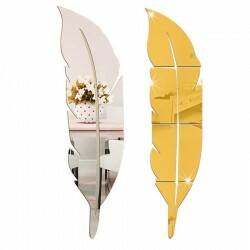 3D feathers mirror wall stickers. Material: plastic. Thickness: 1mm. Quantity: 8 Size: see the pictures. Please select a color.